We’re in the second half of the 2018 NFL season, and we’re still on pace for a record-breaking campaign with an average of 24.1 points per game per team. The action continues with a 10-game main slate that kicks off on Sunday at 1 p.m. ET. In this positional breakdown, I’m looking at the running backs at the top of the individual Pro Models that Jonathan Bales, Peter Jennings (CSURAM88), Adam Levitan, Sean Koerner, Chris Raybon, Kevin McClelland (SportsGeek) and I have constructed. This week, there are six running backs at the top of our individual Pro Models. UPDATE (11/18): Broncos linebacker Brandon Marshall (knee) is out. Cornerback Bradley Roby (ankle) is in. Gordon missed the Week 7 game in London with a hamstring injury, but there seems to be no lingering soft-tissue concerns. Since returning after the Week 8 bye, Gordon has racked up 43.8 FanDuel points, 288 yards and two touchdowns on 34 carries, 10 targets and six receptions. He’s in peak form. On top of that, Gordon has gained a great share of the backfield workload over the past two weeks, delegating Austin Ekeler to a purely change-of-pace role. Since the bye, Ekeler’s per-game usage has been drastically reduced. What was once a committee has recently been Gordon’s monopoly. Since his 2016 breakout season, Gordon has averaged 108.6 yards from scrimmage and 0.95 touchdowns per game. As good as Rams running back Todd Gurley has been this season, Gordon is the only FanDuel back with a 100% Consistency Rating. From a salary-based perspective, Gordon has actually offered more value this season than Gurley: Gordon leads all backs with his +8.88 FanDuel Plus/Minus. While Gordon is having the best season of his career, averaging 84 yards rushing and 45.1 yards receiving per game, he has yet to reach 20 carries in any start. In 2016-17, Gordon averaged a robust 18.6 carries per game. This season, though, it has dropped to 15.6. Nevertheless, his career-high 6.5 targets and 4.5 receptions per game minimize the impact of his rushing shortfall and make him a strong option in most game scripts. Pictured: Los Angeles Chargers running back Melvin Gordon (28). Photo credit: Mark J. Rebilas-USA TODAY Sports. There’s a chance Gordon could lose significant carries to Ekeler if the Chargers establish a large lead early in the game. They have displayed a willingness not to overwork their lead back, but Gordon is still likely to get his. In the Ekeler era, only once in 24 games has Gordon had fewer than 16-plus opportunities (carries plus targets), and this season he’s had either a touchdown or 150 yards from scrimmage every week. One way or another, Gordon is likely to put up points. Gordon doesn’t have a great matchup against the Broncos, who rank fourth with an 87.5 Pro Football Focus (PFF) rush-defense grade. They have allowed a middle-of-the-road 22.9 FanDuel points per game to opposing backfields this season, and last season Gordon had just 10.7 FanDuel points per game against them in two divisional tilts. And he was lucky to average even that many points: If not for a receiving touchdown, his fullback-like averages of 2.6 yards per carry and 3.1 yards per reception would have doomed him. But the Broncos are not insurmountable. This season, they have played three games against running backs comparable to Gordon: Gurley and Kareem Hunt (twice). To those backs, the Broncos have allowed 25.9 FanDuel points per game. As a significant home favorite, Gordon should have ample opportunity to put up points. Of course, the Chargers haven’t had much of a home-field advantage since moving to Los Angeles. StubHub Center is easily the smallest venue in the NFL — the largest attendance it’s ever had is 29,391 people — and on game days the stadium is often full of fans for visiting teams. Even as home favorites, the Chargers could underperform expectations. Even so, Gordon should be able to produce. 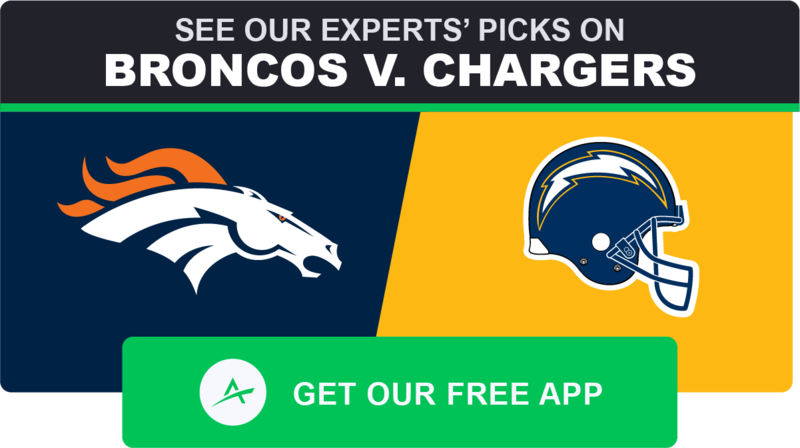 The Chargers have one of the slate’s best matchups for explosive rushing, and the Broncos have a pronounced run funnel on defense. Gordon trails only Alvin Kamara with his 15 Pro Trends on FanDuel, where he leads the slate with his ceiling and floor projections, has a position-high 98% Bargain Rating and is the No. 1 running back in the Bales, CSURAM88, Levitan, Koerner and SportsGeek Models. UPDATE (11/18): Bucs edge rusher Vinny Curry (ankle), linebacker Lavonte David (knee), safety Justin Evans (toe) and cornerback M.J. Stewart (leg) are all out. Edge rusher Carl Nassib (elbow) is questionable. 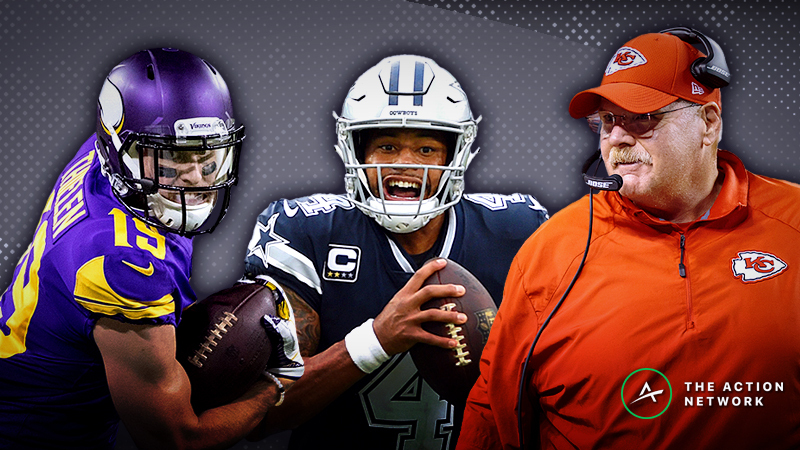 On the Wednesday edition of The Action Network NFL Podcast, we talked about Barkley as a potential “Jam ‘Em In” cash-game option for the slate. Regardless of format, he’s very much in play. It’s hard to throw shade at Barley just because the Giants were foolish enough to use the No. 2 overall pick on him. He’s just nine games into his career, so these numbers will regress, but of all backs to play since 2014, Barkley has a position-high 24.8 DraftKings points per game and +6.18 Plus/Minus. Barkley is the only NFL player in history to have 500 yards rushing and 500 yards receiving this quickly out of college. Each year Barkley progressed. As a sophomore, he showed that he could handle a full workload, earning 300 touches in a breakout campaign. As a junior he became a bona fide threat in the passing game: He finished just three receptions off the team lead, and he was first among all Football Bowl Subdivision running backs in receiving yardage. Barkley is a complete three-down player, and as his two return touchdowns highlight he has the agility and speed to break long plays whenever he touches the ball. Barkley as a prospect is no less impressive than the backs selected with top-10 picks in the past few years. In fact, Barkley is more impressive than all of them: He’s a better receiver than Leonard Fournette and bigger than Christian McCaffrey. Unlike Ezekiel Elliott, he produced as a freshman. Unlike Gurley, he’s not entering the NFL fresh off an ACL tear. And based on his combine performance, he’s the best athlete of the group. With his age, physical profile, and production, Barkley is the best running back prospect of the past decade. Months later, Barkley hasn’t done anything as a professional to undermine that evaluation. Playing on a team limited by quarterback Eli Manning and an offensive line that can’t pass block (8.7% adjusted sack rate, 26th) or run block (3.30 adjusted line yards, 32nd), Barkley has still managed to produce thanks to his red-zone usage (15 opportunities) and big-play ability (five touchdowns of 15-plus yards and three of 50-plus yards). While Barkley’s average of 14.6 carries per game is less than ideal, he hasn’t had fewer than 10 rush attempts in a game, and his receiving workload more than compensates for his rushing shortfall. He’s second among all backs with 76 targets and 530 yards receiving. Among all players (including wide receivers and tight ends), he’s top-10 with his 62 receptions. As impressive as Alvin Kamara and Christian McCaffrey were in the receiving game last season as rookies, no running back in NFL history has gotten more targets (76) or receptions (62) in his first nine career games than Barkley. Prorated to 16 games, those numbers extrapolate to 135.1 targets and 110.2 receptions, putting Barkley on pace to best Reggie Bush’s rookie records of 121 targets and 88 receptions (2006) and to challenge the all-time records of 137 targets and 102 receptions respectively set by LaDainian Tomlinson (2003) and Matt Forte (2014). Additionally, Barkley has a legitimate shot to be just the third player in NFL history with 1,000 yards rushing and 1,000 yards receiving in a season. The first person to accomplish that feat was 49ers fullback and should-be Hall-of-Famer Roger Craig. The second was Rams running back and all-time great Marshall Faulk. With all the volume Barkley gets as a receiver, he’s had at least 18 opportunities in every game this season. Add it all up, and Barkley trails only Gurley and James Conner with his 1,116 scrimmage yards. Credit: Bob Donnan-USA TODAY Sports. Pictured: New York Giants running back Saquon Barkley (26). Barkley has a great matchup. The Buccaneers defense is 31st with an 18.9% mark in Football Outsiders’ DVOA and 29th with a 67.4 PFF rush-defense grade. The Bucs specifically rank 26th in pass defense against running backs (11.2% DVOA). This season, they’ve faced four backs with high-end no-doubt receiving skills. Collectively, those guys have crushed. Simply put: The Bucs’ defense is awful. And to make matters worse, Tampa’s defense is the walking wounded. In the front seven, edge rusher Vinny Curry (ankle) has missed three of the past four games. Defensive end Carl Nassib (elbow) suffered an injury in Week 10 and is uncertain to play. Middle linebacker Kwon Alexander (knee, injured reserve) is out, as is backup middle linebacker Jack Cichy (ankle, IR). On top of that, weakside linebacker Lavonte David (knee) is dealing with a sprain and tentatively expected not to play. And in the secondary, cornerback Vernon Hargreaves (shoulder, IR) and strong safety Chris Conte (knee, IR) are out. Additionally, rookie slot cornerback M.J. Stewart (leg) exited Week 8 early and hasn’t played or practice since. He seems unlikely to suit up this week. As a game script-independent and matchup-agnostic three-down back seeing 84.9% of his team’s offensive snaps, Barkley should smash against the Bucs defense. On Sunday morning, I might look to bet the over on Barkey’s receiving yardage prop. Of all backs on the slate, he trails only Alvin Kamara with his 0.22 market share of targets, and he’s first with his 562 yards after the catch. To find the best bets in the props market, use our Player Props Tool, which is powered by our industry-leading projections. Since Week 1, the props with a bet quality of 10 have gone 182-86-6, good for a 66% win rate. Barkley has position-high median, ceiling and floor projections on DraftKings, where he’s tied for the slate lead with 10 Pro Trends and is the No. 1 running back in the Levitan and Raybon Models. For good measure, he’s also Raybon’s top back on FanDuel, where Barkley has a position-high ownership projection. UPDATE (11/18): Wide receiver Marvin Jones (knee) and tight end Michael Roberts (shoulder) have been declared out. It’s hard to be too excited about a back who has to share targets with Theo Riddick and goal-line carries with LeGarrette Blount, but Johnson is the real deal. A top-five running back recruit, Johnson led his team to three straight state titles in high school and was Alabama’s Mr. Football as a senior. He played immediately as a true freshman at Auburn, and as a sophomore he played the speed back role in a timeshare, rushing for 895 yards and 11 touchdowns and adding 17 receptions for 125 yards. In 2017, Johnson assumed the role of lead back for the Tigers. Even though he dealt with injuries (ribs, shoulder), Johnson rushed for 1,391 yards and 18 touchdowns in 12 games, adding 24 receptions for 194 yards and two touchdowns. Despite being in a timeshare for large parts of his two final seasons, Johnson averaged 108.5 yards and 1.3 touchdowns from scrimmage per game over that time. 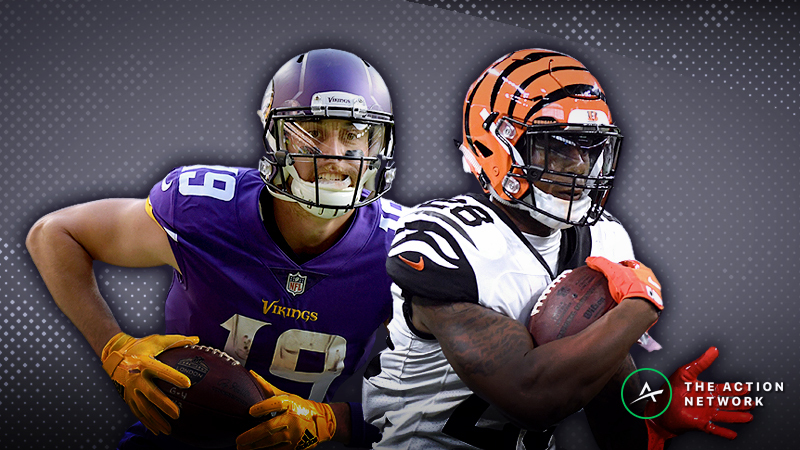 A young runner, Johnson is poised to join an impressive cohort of 21-year-old rookie backs to enter the league as second- and third-round selections over the past two decades. A Day 2 prospect with good size and feature back potential, Johnson has notable patience, vision, and balance and has been compared by NFL Media’s Daniel Jeremiah (and others) to a smaller (and less-used) Le’Veon. Johnson has three-down NFL ability. Given his size and skills, Johnson is very much in the lineage of McCoy and Rice. Even though he’s in a timeshare, Johnson has had 10-plus opportunities over the past eight games, averaging a healthy 90 yards and 0.38 touchdowns on 12.3 carries, 4.4 targets and 3.4 receptions per game. Over that time, he’s hit his salary-based expectations in every appearance but one. It’s less than ideal for Johnson to be a dog of more than a field goal, but five backs this season have had 10-plus carries in defeat against the Panthers: Barkley, Elliott, Collins, Barber and Giovani Bernard. Collectively, they averaged 15.3 FanDuel points per game with a +4.36 Plus/Minus and 80% Consistency Rating. Johnson has a position-high 95% Leverage Score on DraftKings and is the No. 1 back on FanDuel in the Freedman Model. UPDATE (11/18): Left guard Andrus Peat (hip) and right tackle Ryan Ramczyk (knee) are in. Left tackle Terron Armstead (shoulder) is out. Eagles defensive tackles Haloti Ngata (knee) and Timmy Jernigan (back) are questionable. Cornerback Jalen Mills (foot) is out. Cornerback Sidney Jones (hamstring) is in. The Saints easily lead the slate with their 32-point implied Vegas total. After winning eight games in a row, they are the No. 1 team in The Action Network Power Rankings. 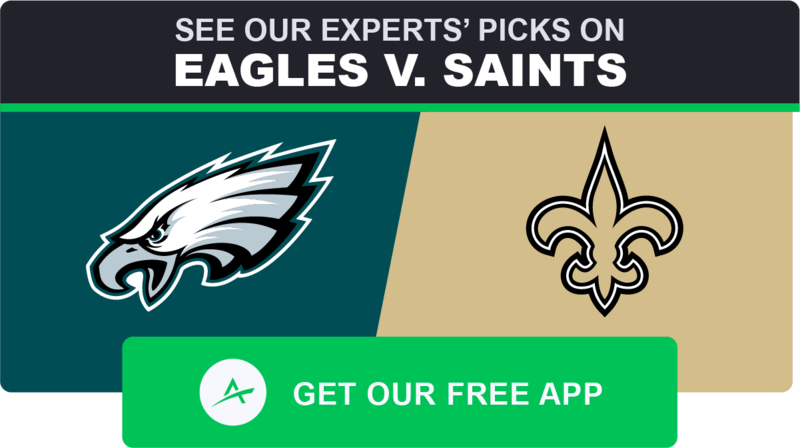 The Saints are significant home favorites at the Mercedes-Benz Superdome (the Coors Field of fantasy football), so the situation could not be any better for Ingram. 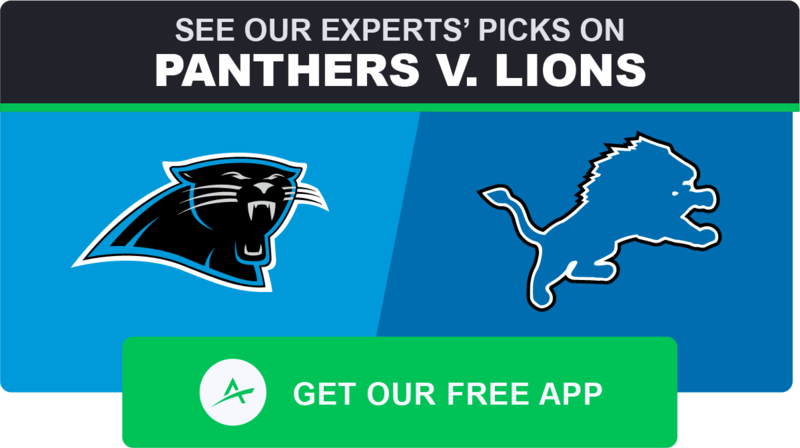 An incredibly fantasy-friendly venue, the Superdome has an A-graded 58-40-2 over/under record with quarterback Drew Brees, good for a 15.8% return on investment for over bettors since 2006, when Brees joined the Saints (per Bet Labs). Additionally, Ingram is on the positive side of his favorite/underdog and division/non-division splits: Over the past four seasons, Ingram has averaged 111.9 yards, 0.83 touchdowns and 20.1 DraftKings points per game with a +6.36 Plus/Minus and 72.0% Consistency Rating as a non-divisional favorite. Coming off a strong outing in which he accumulated 28.2 DraftKings points, 162 yards and a touchdown on 13 carries, three targets and three receptions, Ingram will likely have a double-digit ownership rate this week and should get some cash-game consideration because of his discounted salary. Although Ingram has played behind the more dynamic Alvin Kamara for the past four weeks, he is still the No. 14 fantasy running back since 2014 with his 16.6 DraftKings points, 14.4 carries, 3.8 targets, 3.1 receptions, 90.2 yards and 0.65 touchdowns per game. He’s always gotten his opportunity and production within the confines of a committee. Credit: Aaron Doster-USA TODAY Sports. Pictured: New Orleans Saints running back Mark Ingram (22). While Ingram dominated the backfield in Week 5 after returning from his suspension — he out-touched Kamara 18-9 — since the Week 6 bye, he has been the clear No. 2 back in the committee. Even so, this season Ingram is averaging a healthy 12.6 carries and 2.6 targets per game, resulting in a respectable 14.3 DraftKings points per game. Ingram is still a key component of this backfield committee, and since his return, the Saints have a 55.4% rush rate, which would lead the league if extrapolated over the entire season. The Saints offensive line is dealing with injuries. Left tackle Terron Armstead (shoulder) is officially doubtful but fully expected not to play. Additionally, left guard Andrus Peat (hip) and right tackle Ryan Ramczyk (knee) are dealing with some lingering injuries. Without a healthy offensive line, Ingram’s efficiency could take a hit. But the Panthers are just 17th with a 77.6 PFF run-defense grade. There’s nothing all that imposing about his matchup. Ingram has a position-high 99% Bargain Rating on DraftKings, where he’s tied for the slate lead with 10 Pro Trends and is the No. 1 running back in the Bales, CSURAM88 and Koerner Models. UPDATE (11/18): Quarterback Joe Flacco (hip) is officially doubtful but expected not to play. Backup quarterback Lamar Jackson (illness) will be active and is tentatively expected to start, although backup Robert Griffin III could see snaps. Right tackle James Hurst (back) is out. Left tackle Ronnie Stanley (ankle) is questionable. Collins is frustrating to roster because he’s played on just 43.7% of Baltimore’s offensive snaps. He actually trails pass-catching back Javorius Allen (44.7%), and now the team has added former Packers running back Ty Montgomery, who could play his first game with the Ravens this week. Collins played more than 50% of the offensive snaps in just one game this season. But he’s still the lead back, and he’s had 10-plus opportunities in each game this season but one (Week 1). Since joining the Ravens in 2017, he’s averaged 11.8 DraftKings points, 69.1 yards and 0.54 touchdowns on 13.3 carries, 2.4 targets and 1.6 receptions per game. There are no lines for this game yet because of the massive uncertainty surrounding Baltimore’s quarterback situation. Starter Joe Flacco (hip) has been sidelined this week with an injury, but the team has said that even if he’s unable to practice this week he might play on Sunday if he’s able to do so. If Flacco, can’t play, the team could start first-round rookie Lamar Jackson, but he missed practice on Thursday with what’s being reported as a minor stomach issue, and even before that there were rumblings that the team might start veteran backup Robert Griffin III instead. Credit: Mitch Stringer-USA TODAY Sports. Pictured: Baltimore Ravens running back Alex Collins (34). Regardless of whatever happens at quarterback, this could be a good situation for Collins. If Flacco plays, the team could rely on the running game more in order to protect their passer. If Flacco doesn’t play, the team could still emphasize the running game so as to hide their backup. On top of that, Jackson and RG3 are both strong runners, and typically backs paired with running quarterbacks see enhanced efficiency. And the matchup is also good for Collins. The Bengals have allowed a top-three mark of 33.8 DraftKings points per game to opposing backfields. They are 30th in rush defense (3.9% DVOA) and 31st in pass defense against running backs (23.5% DVOA). On top of that, the Bengals are significantly banged up in their defensive front seven. Edge rusher Carl Lawson (knee, IR) is out. Defensive tackle Adolphus Washington (knee) has yet to practice this week and is unlikely to play. Strong side linebacker Nick Vigil (knee) has missed the past three games and is almost certain not to play. Middle linebacker Preston Brown (knee) hasn’t practiced this week and is questionable at best. Weak side linebacker Vontaze Burfict (hip) has missed the past two games. And backup linebacker Vincent Rey (groin) is dealing with an injury. Both Burfict and Rey have gotten in limited practice sessions this week, so they’ll probably play, but the Bengals nevertheless are hampered on defense and could struggle against the run even more than usual. And without wide receiver A.J. Green (toe), the Bengals offense could struggle to sustain drives, which in turn would put even more pressure on the defense. Even without right tackle James Hurst (back), Collins could provide value if he sees his usual workload. In his two previous starts against these divisional opponents, Collins averaged 14.8 DraftKings points on 14.5 carries and five targets per game. This could change once Vegas lines for this game are released, but right now Collins is the No. 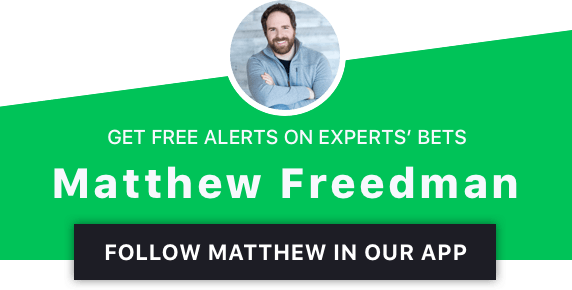 1 DraftKings back in the SportsGeek Model. UPDATE (11/18): Barber (ankle, shoulder) is in. Running back Ronald Jones (hamstring) is out. Wide receiver Chris Godwin (ankle) is questionable. Despite being the starting running back for an offense averaging 25.8 points per game, Barber has scored more than eight DraftKings points in just two of nine games this season. Of all the starting backs in the league, he without question has been the stone-cold worst. His bifurcated production (+0.86 DraftKings Plus/Minus, 33.3% Consistency Rating) is astounding. Barber (ankle, shoulder) is dealing with injuries, but he has practiced this week and is yet to miss a game. He will almost certainly play on Sunday. Despite his mediocrity and inconsistency, there is room for optimism with Barber. He has played 53.6% of the offensive snaps and gotten 63.6% of the team’s backfield opportunities. In his 14 games since becoming the lead back in Week 13 of last season, Barber has averaged 16.1 opportunities per game, and he could see even more this week with the team likely to ease second-round rookie Ronald Jones (hamstring) back into action after he missed Weeks 9-10. As is the case most weeks, Barber will likely be rosterable at a low ownership rate. 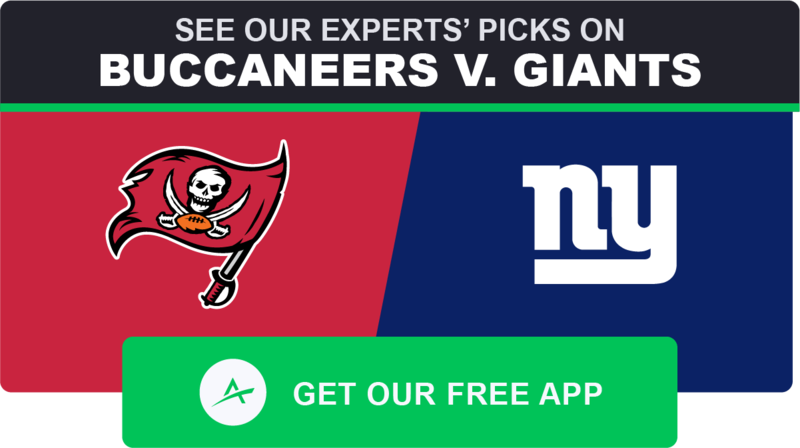 The Giants have allowed a top-eight mark of 29.6 DraftKings points per game to opposing backfields, and their defense will primarily be focused on limiting the big-play potential of wide receivers Mike Evans and DeSean Jackson and tight end O.J. Howard. Even with head coach Dirk Koetter now calling plays instead of offensive coordinator Todd Monken, Barber could have a good game as an under appreciated contributor in the offense. Barber has a position-high 97% Leverage Score on FanDuel and is the No. 1 back on DraftKings in the Freedman Model. Be sure to read the other Week 11 positional breakdowns.